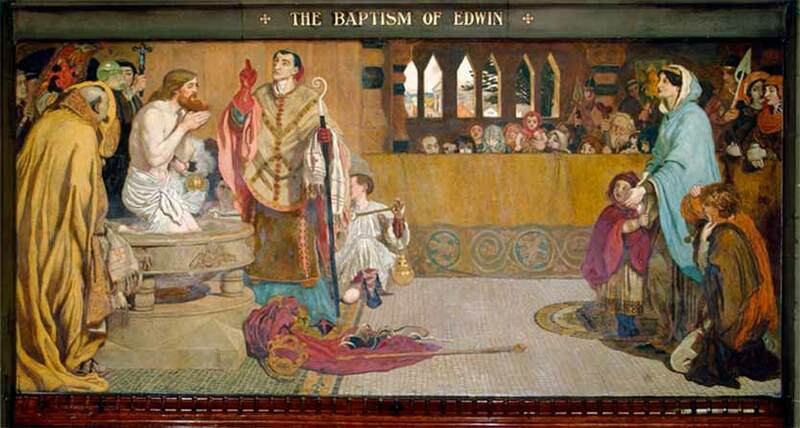 The Baptism of King Edwin by Ford Madox Brown, c. 1885. The mural depicts the Baptism of Edwin VII of Northumbria, watched by his Christian wife Ethelburga and family. 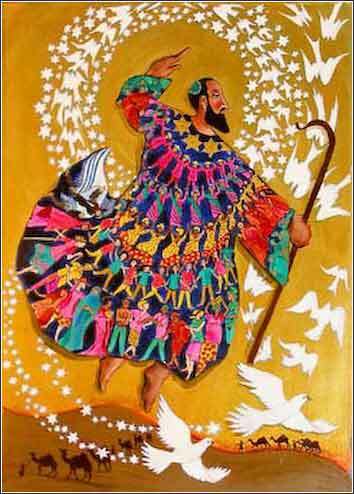 Joseph, being seventeen years old, was pasturing the flock with his brothers. He was a boy with the sons of Bilhah and Zilpah, his father's wives. And Joseph brought a bad report of them to their father. You could not accuse Joseph of being overly discrete, could you? First, he rats out his brothers to his parents. Then he has a dream where his sheaf stands up straight in the middle of a field and all his brothers' sheaves gather around it and bow down, and he goes straight to his brothers and tells them about it. Then he dreams about the sun and moon and exactly 11 stars bowing down to him, and this time he tells not only his brothers, but also his parents. Luckily, his father Israel (Jacob) doesn't take the kind of offense at a dream where he's bowing down to his young son that the brothers do. His young son is his favorite, but giving him a special coat "of many colors" just adds fuel to the fire. Joseph, who seems even for a teenager unusually blind to diplomacy or the realities of human nature, drives eleven brothers (who are older and presumably stronger in the first place) to despise him.